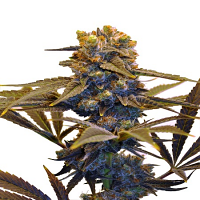 Bad Azz Kush Feminised by Barney’s Farm Seeds is a popular cannabis strain that is capable of producing enormous colas and outstanding results. .
Bad Azz Kush Feminised by Barney’s Farm Seeds is a popular cannabis strain that is capable of producing enormous colas and outstanding results. Developed to optimise performance at all stages of the production process including resin production and flowering time, these high performance weed seeds are capable of producing yields of up to 600g/m2. 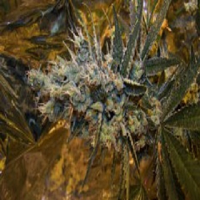 Suitable for growing weed indoors, you can expect to enjoy cannabis seeds that induce subtle forest fruit aromas and powerful stoned effects.